The $2.3 billion dollar transportation bill was signed by Governor Tom Corbett just a few weeks ago. The bill will fund bridges, highways and mass transit facilities in need for overdue repair. The $2.3 billion is to be phased annually over the next five years. Many studies on the US state highways has been conducted based on performance and cost effectiveness; Pennsylvania has always been near the bottom of those lists. How does this affect Pennsylvanians? 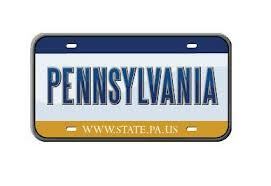 PA will raise fuel taxes and increase motorist fees for renewals and registrations. A small piece of these funds will go to airports, ports, railways and walkways. In good spirit by the end of year 2018, we can expect road improvements, safer bridges and sufficient public transit. If you have any questions please call our office and ask for one of our Logistics Experts.